Frame: CAAD12, SmartForm C1 Premium Alloy, SAVE, BB30a, Di2 Ready. Fork: CAAD12, BallisTec full carbon, SAVE, 1-1/8" to 1-1/4" steerer, integrated crown race. Rims: Fulcrum Racing 400, Alloy clincher, 35mm deep. Spokes: Fulcrum double-butted, Stainless, Bladed. Crank: Cannondale HollowGram Si, BB30a w/ Power2Max NG Eco Power Meter and FSA rings, 52/36. 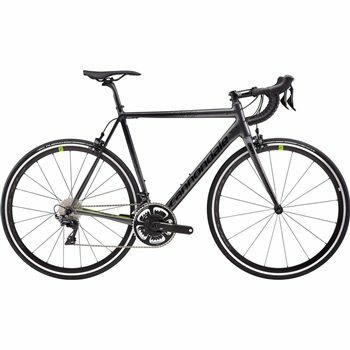 Cassette: Shimano Ultegra, 11-30, 11-speed. Front Derailleur: Shimano Dura-Ace 9100, braze-on. Rear Derailleur: Shimano Dura-Ace 9100. Headset: CAAD12, 1-1/4" lower bearing, 25mm top cap. Brake Levers: Shimano Dura-Ace 9100. Saddle: Prologo Nago EVO PAS T2.0. Seatpost: Cannondale SAVE Carbon, 25.4 x 350mm (44-56), 400mm (58-63).